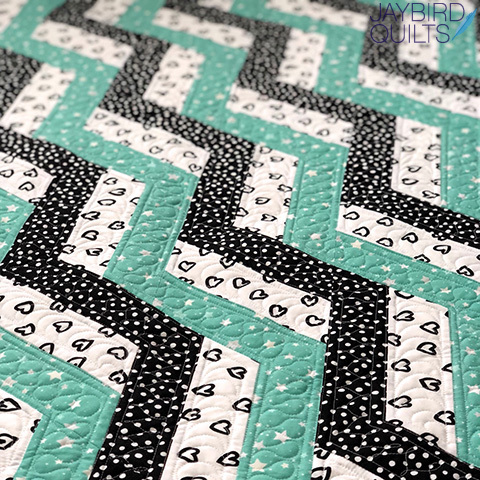 Introducing my latest pattern, Ribbon Candy! 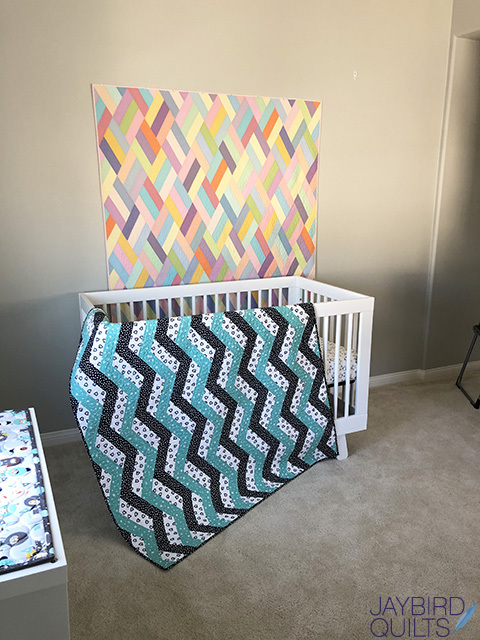 I had planned on this pattern being announced before my son was born, but he arrived 2 weeks early and only one of the 2 quilts was done! 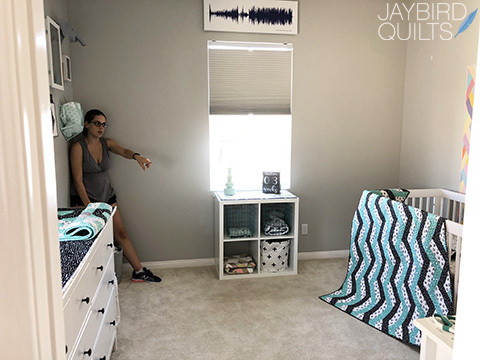 I was inspired to design this quilt during my pregnancy and the three-color quilt matches the nursery. It had been hanging out in there for a week before Nathan was born and inspired the idea for the cover shoot. 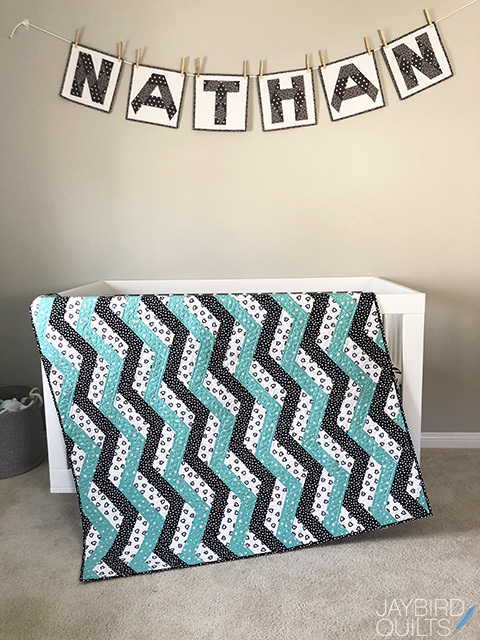 I had planned on binding the solid quilt in August, but that day ended up becoming the day that my son was born! Best laid plans they say... It took a few extra weeks since free time with a newborn is basically impossible. After getting it bound I needed to photograph the cover & I recruited some help. My mom took care of Nathan downstairs while my husband and I quickly transformed his nursery into a photo studio!! 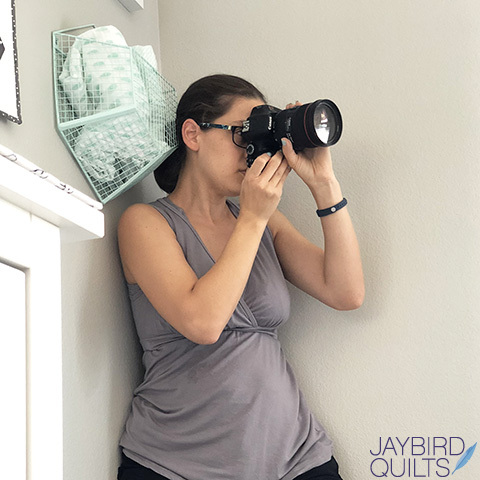 It was a tight squeeze to get the photo and we had to move the rocking chair so I could get far enough away from the quilts. Here I am asking Lawrence to move the quilt a bit. Doing a photo shoot 3 weeks after my son was born wasn't in my plans, but in the end it worked out! I'm so glad my family is supportive of my quilting endeavors. But he has decided it is a keeper! 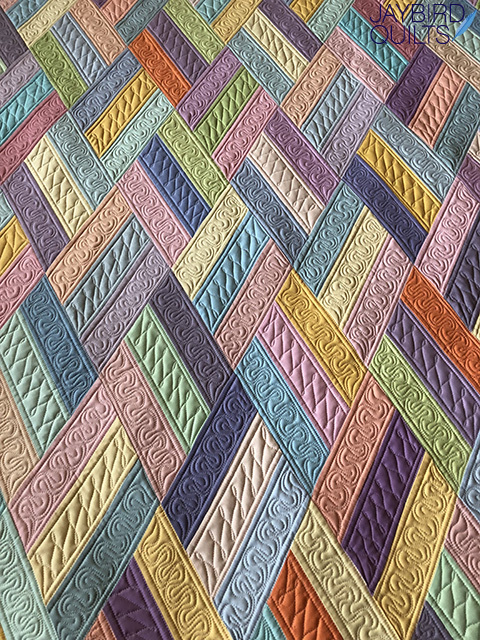 Teresa's ribbon candy quilting in both versions of the quilt was the inspiration for the name. 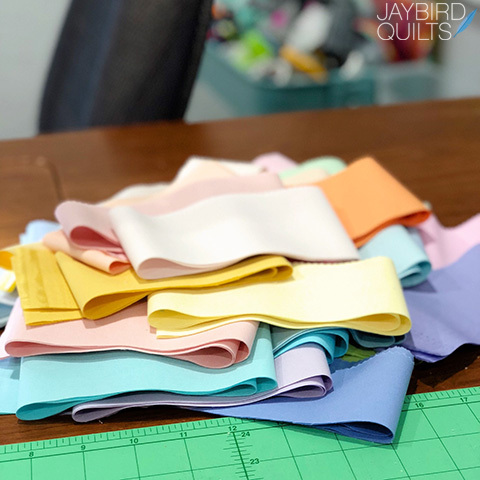 Ribbon Candy is made using the Super Sidekick ruler and there's no Y seams. 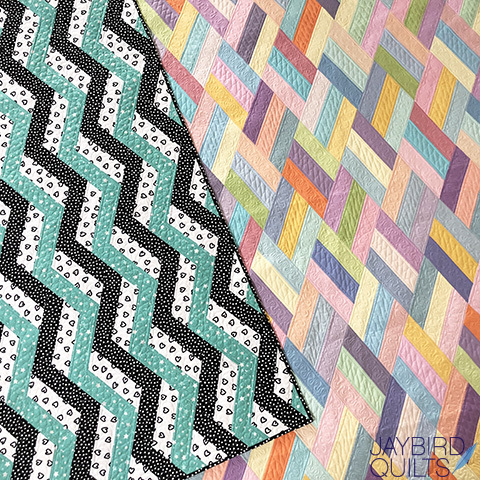 It's made with 2 1/2" strips cut from yardage (to make the 3 Color quilt) or from precuts (to make the Scrappy quilt). 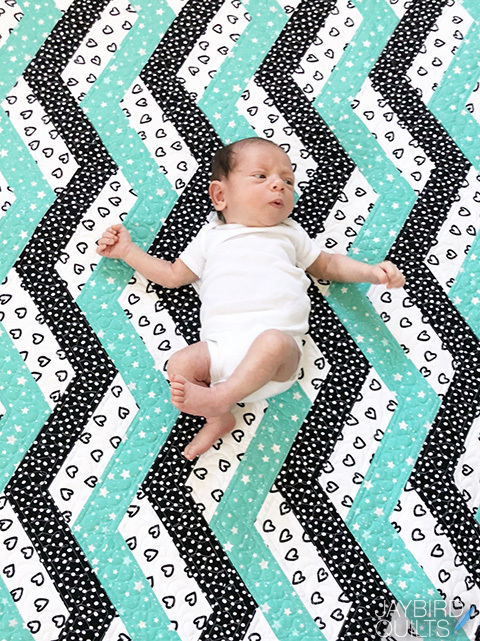 The pattern has six quilt sizes: baby, youth, lap, twin, queen, king. 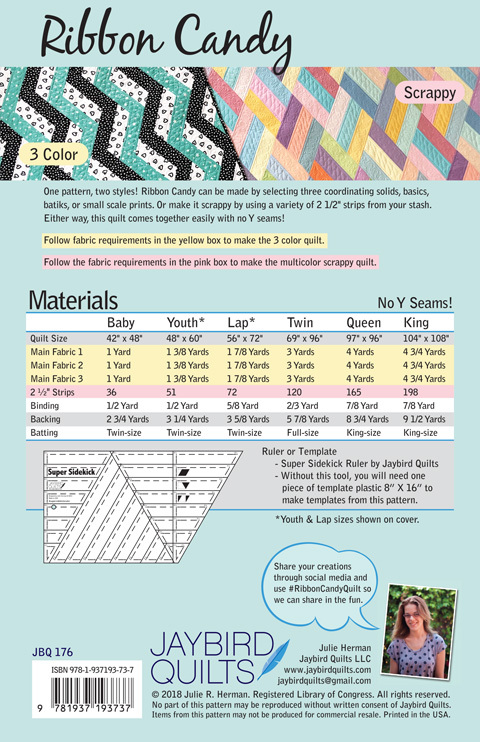 The pattern is printed in full color and templates are included. 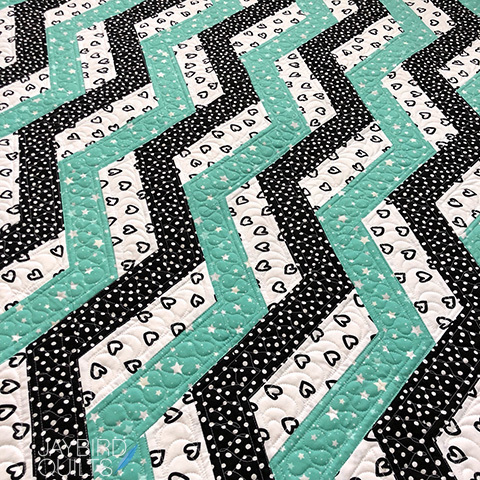 It's ready to ship to shops now and will be available in local and online quilt shops soon. 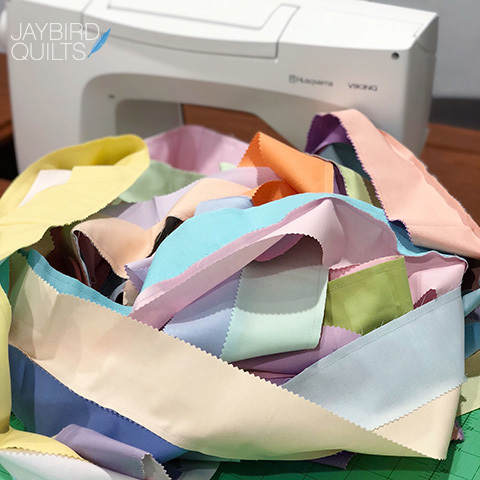 Share your photos with us using the hashtag #RibbonCandyQuilt so that we can share in the fun with you. so good! Your wee model is handsome. I love the scrappy version best of all. Best wishes. 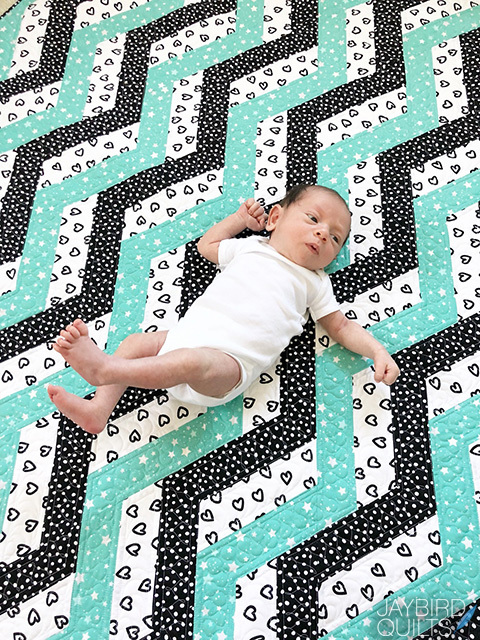 Beautiful baby and a cute quilt! 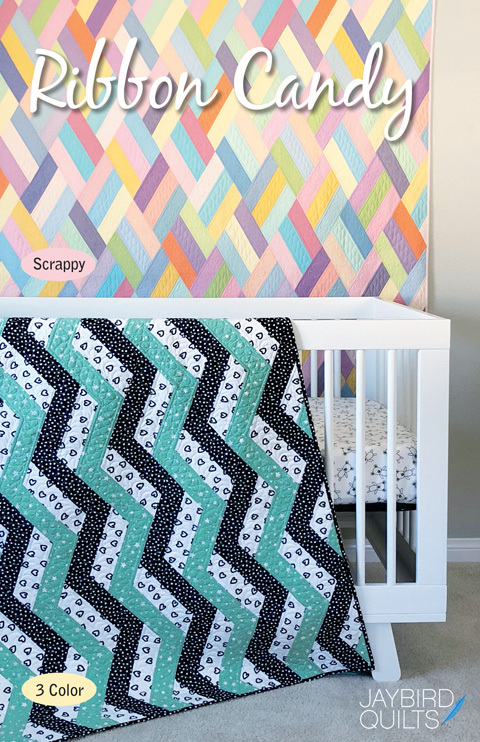 I love this scrappy quilt version. 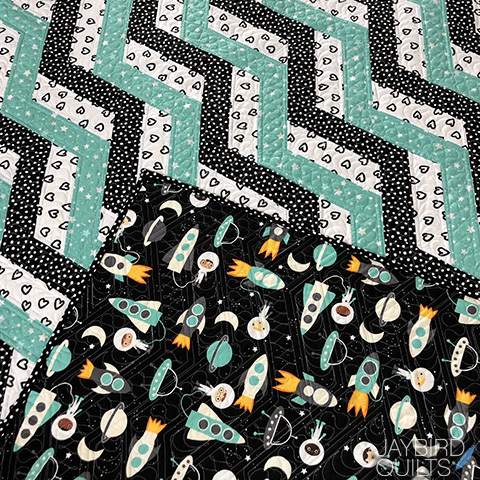 I REALLY want this pattern. Congratulations on your lovely new son! 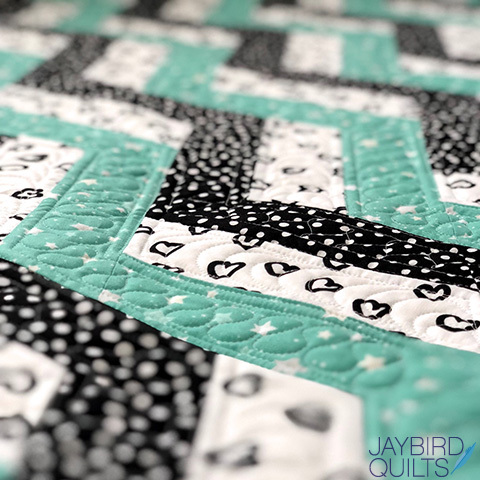 I have never quilted before. Would this be a good design for a beginner? What a fantastic, simple design. I love both versions. 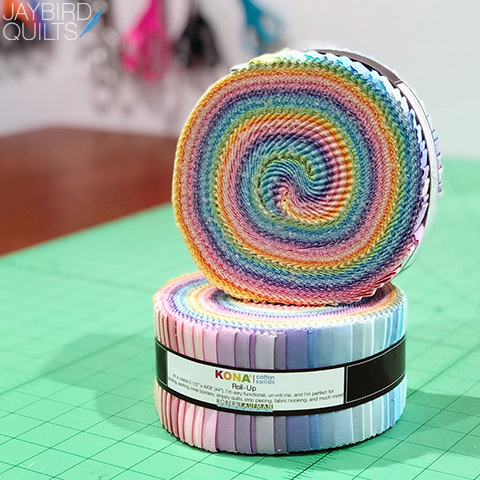 I have a lot of jelly rolls burning a hole in my stash. 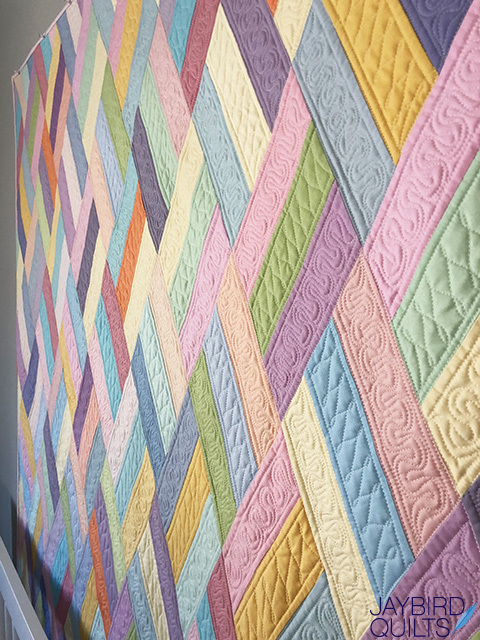 The quilting really finishes them off. Thank you for continuing to share during your time as a new family!